Hand fans or handheld fans are quite beautiful and handy item for us. Do you have any hand fan? Sometimes we recognize a hand fan as folding hand fan as well. Generally, we use hand fans for two reasons. One reason is for decorating our home while on the other hand we use it for making cool airflow during summer. I think many of you have seen that Asian people use these hand fans such as in Japan, China, Korea, Thailand. Do you know what Hand fan symbolize for? It is symbolized of three things they are: Friendship, Good wishes and Respect. Weather does not matter at all we can't say that we are only able to use hand fan in summer but other season too such as winter, spring, autumn. The one who is living in a cold weather, he or she does not have to worry, since you still can use these colorful hand fans for decorating your home. They are perfect for home decoration and it is one of the great home décor items I have ever seen before. Let us find out some beautiful decorative, antique, oriental folding hand fans as well as know the types of hand fans, Asian history of hand fans and many more. Please note that all these hand fans are handmade. Check them out! It is really difficult to say the exact time when actually a hand fan was made. Though, history says hand fan was first originated in Egypt in 3000 BC. Here in this lens I am going to focus only on Asian hand fan history. Folding hand fan was originated from East Asia (China) in the early 2nd century BC. It is noted that In the 7th century the Chinese dancing fan was developed. After that Japanese people invented folding hand fan in the 8th century BC. Folding hand fans is a part of Japanese culture, with this folding hand fans they perform many stage performance such as dancing, singing. 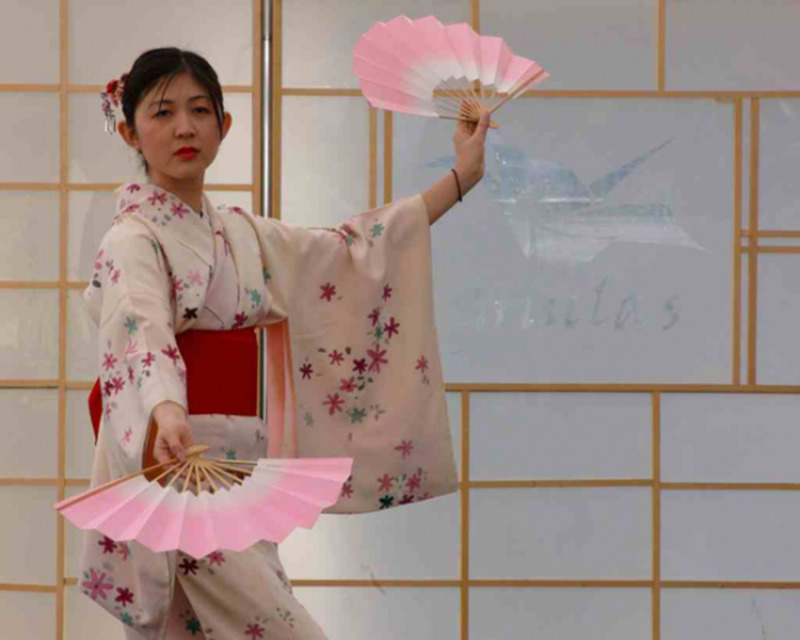 It is really delightful to see hand fan dancing performed by Japanese women. Still in China many kung fu masters such as shaolin monks use these fans as a great weapon. In Japan, the great Japanese warrior called samurai uses this hand fan and Geisha women in Japan always use this folding hand fans as their own tradition. They dance with many colorful hand fans. In Korea, people have a hand fan dance style called buchaechum. It is a very popular dance in Korea. Later Asian hand fans spread to all over the world. The popularity and demand of using Asian hand fans are huge. Nowadays, people from all over the world more or less use these hand fans for house decoration, wedding ceremony, cultural event and many more. Today in many countries we see hand fan museums, they are all full of beautiful decorative hand fans. Is not it a beautiful Japanese silk folding hand fan? I think you agree with me. Generally, two types of hand fans are available in Japan, folding and fixed. I don't know what do you feel or think of Japanese hand fans. Many people say that Japanese folding fan's design is much better than Chinese folding fans. However, there is a great significance of Japanese hand fans. These hand fans are used for many purpose in Japan such as gift, toys for kids and still Samurai warrior use this hand fans as weapon. Japan is seen as the homeland of modern folding fans, everyone would agree with it, as I do. Fukuoka, the 6th largest city in Japan, this is where the Japanese first used to make hand fans in the 6th century A.D. Hand fan is a part of Japanese tradition. They decorate house with this hand fan and Japanese women like to keep a hand fan in a hot weather. Japanese people believe that top of the handle of Flexed fan is symbolized as the beginning of one's life and the ribs stand symbolizes for road of a life that brings fortune and happiness for him or her. Traditionally, Japanese hand fans are well reputed all over the world. They are crafted well with many themes like cherry blossoms, plum blossoms, ocean, dragon, flowers, birds and many more. Having a nice Japanese hand fan is a great feeling, since they are very colorful and well crafted. 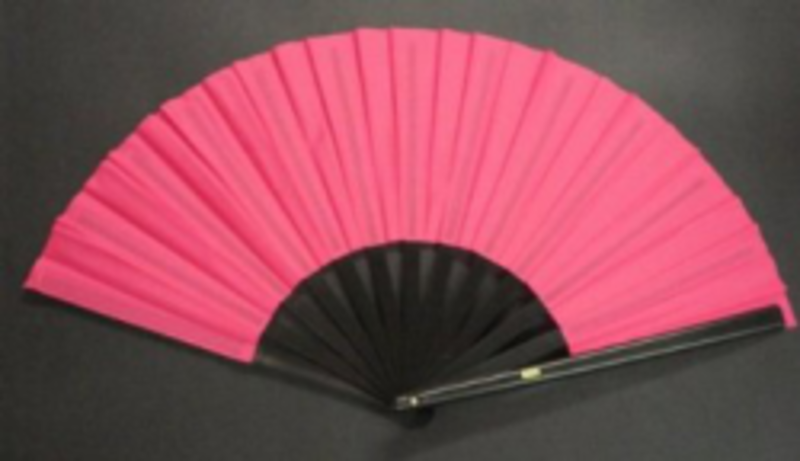 This page provides you useful information on Japanese hand fans. Find beautiful Japanese hand fans here, some are expensive and some are very cheap. They also make a great gift idea for any occasion. 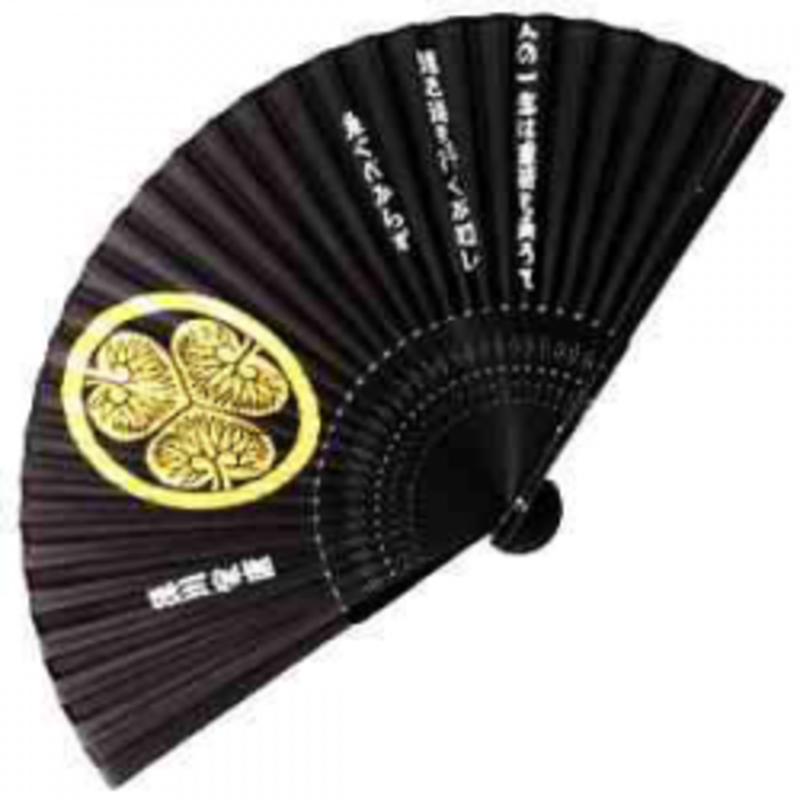 This page is all about oriental Japanese hand fans and you can buy handheld fans from this site. These are the most beautiful Japanese hand fans you will ever see! 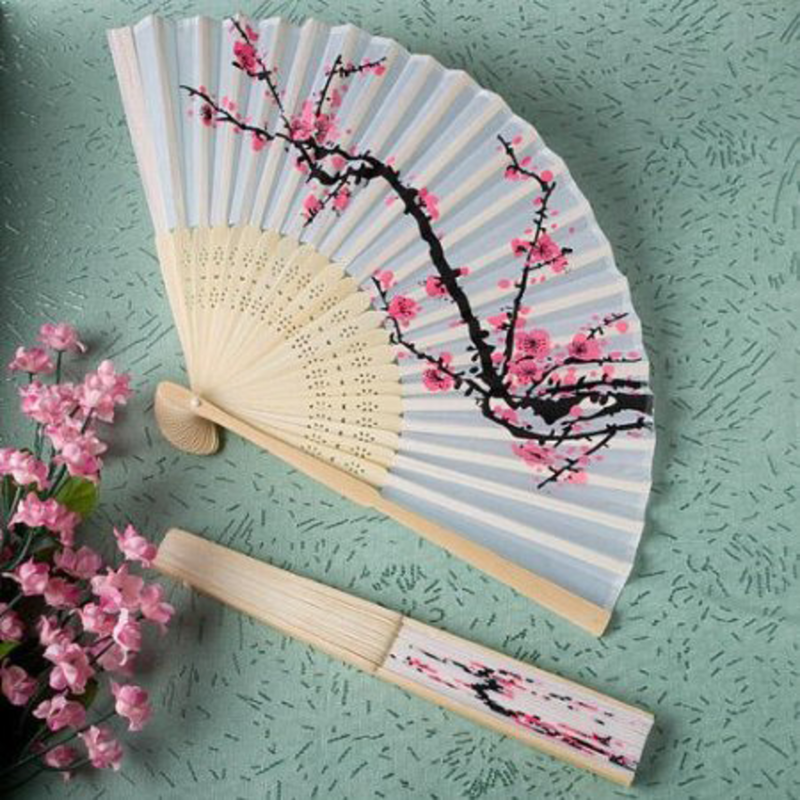 Japanese Silk Hand Fan - Cherry Blossoms - Look at this fan, it is very beautiful! Japanese silk made hand fans are awesome! There are many flower and butterfly themed design of Japanese hand fans. These are also great decorative items for your home. A colorful well painted hand fan could be a great gift for others for many occasions. These all hand fans can be used as birthday party accessories and no doubt these are perfect gift ideas for Birthday, Christmas, Chinese new year, Hanami, Buddha purnima and so on. People say Japanese hand fans are very beautiful. What do you think of Japanese hand fans? You will explore its beauty over here. I think you are going to love these Japanese hand fans that I would show you here. 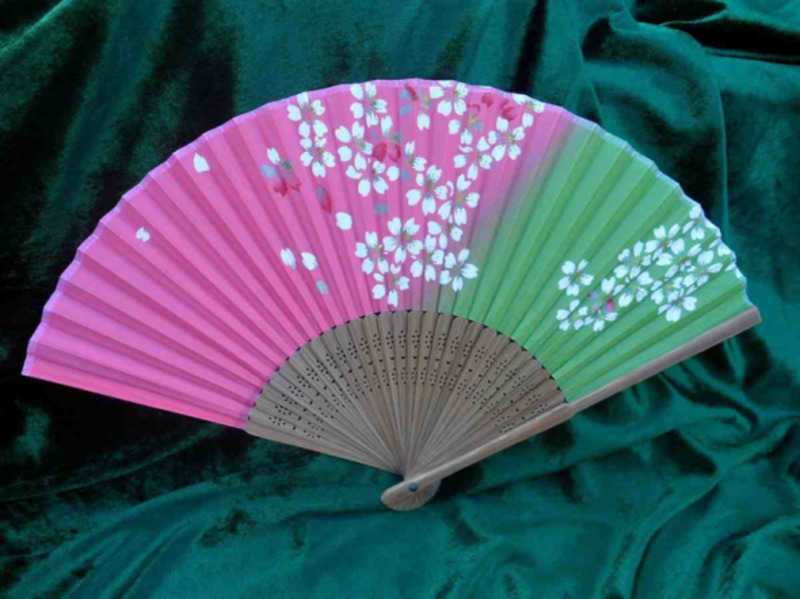 Look below it is a cherry blossom themed Japanese hand fans, it is perfect hand fan for summer and spring. Don't miss it if you like it. Japanese hand fans are famous in the world. Hand fan is one of the great useful items for Japanese people. Traditionally they use it. 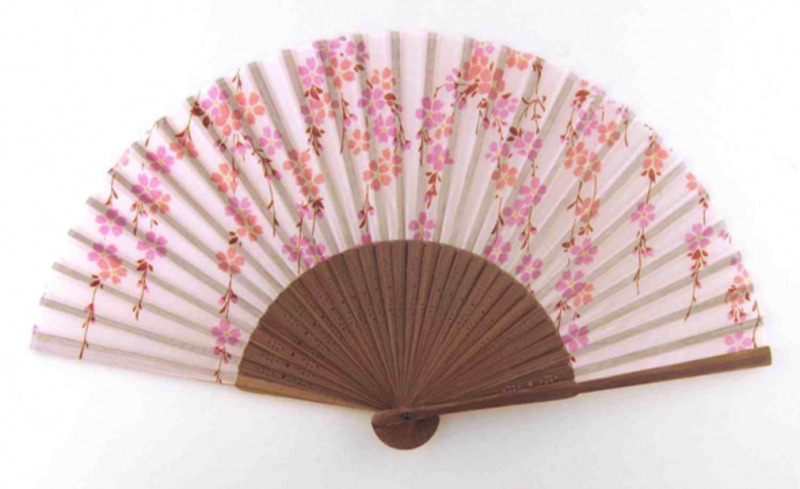 This Japanese silk handheld fan is colorful, painted with cherry blossoms. If you like cherry flowers then you would like to see this hand fan to your home wall as decorative item and would like to have it with you in summer. It is not heavy, it is lightweight, and you can easily take it with you to anywhere else you want. Two types of Hand Fan can be found! These both types of hand fans could be decorative, no doubt about that. Living room is a place where you can hang a big decorative wall fan on the wall. This living room décor idea would never cost much money from your pocket. A lot of decorative wall hand fans are available online that are sold cheaply though quality may vary. However, whether it is a Chinese New Year living decorating idea or Christmas/wedding room decorating idea, you can completely reply on wall hand fans. By the way, they are really beautiful. Buddhist monks in Asia usually use this type of hand fans. I have seen many times that our monks use lightweight hand fans like these during summer. This type of mini white paper hand fans are beautiful as colorful fabric Japanese hand fans. These are small hand fans but they still look very beautiful. As it is a mini paper folding hand fan it could be broken or ripped but still it is a nice item to carry and create some breezes. This small paper hand fan can be fold easily and you can take it with your purse while going to any party. It is fashionable and not expensive at all. You are going to love its design. What a beautiful hand fan is this! This is an Asian hand fan which is perfect for Chinese new year, Hanami, Christmas, Birthday, and Valentine's day. Have you ever noticed that Chinese hand fan is an important symbol of China, its culture and the people? If we look back to ancient time we would explore that they invented hand fans a long time ago around 3000 years ago or more. Though, no one knows the exact time when Chinese hand fans were invented. Since then Chinese hand fans are referred as useful tool and decorative item in China. It is a part of Chinese art and tradition. Chinese hand fans became very much popular in the Han Dynasty. It is said that Chinese hand fans first were made by only bamboo, they used to craft very brilliantly. They were the real artists. Have you seen any Chinese hand fans, I think if you have then you have noticed that their hand fans are designed with nice paintings. Shaolin monks in China still use hand fans while they practice Kung fu. It is a great weapon for them. This is a very handy item and dangerous if you see these Chinese hand fans to shaolin monks' hands. Be careful! Chinese Nylon-Cloth Dragon Hand Fan in Brilliant Red or Black Simple Colors: Red Color - Red color of hand fan! It looks very nice, Right! Would you like to present this hand fan for your little girl? She would would happy because of this red color Chinese hand fan. This is one kind of traditional style Chinese hand fan. If you are serious and finding for a unique gift ideas for others then I recommend this Chinese hand fan. Are you looking for Chinese style hand fan? If you are then this is the perfect one for you. It is read with dragon painting. I think this hand fan never would dissatisfy you because of its colorful design and dragon painting. It is about 10.5" high and 18" wide. Don't you think it could be a nice gift for others? Get it and present it to others since it is a great colorful hand fan. Learn how to make Chinese style hand fans! 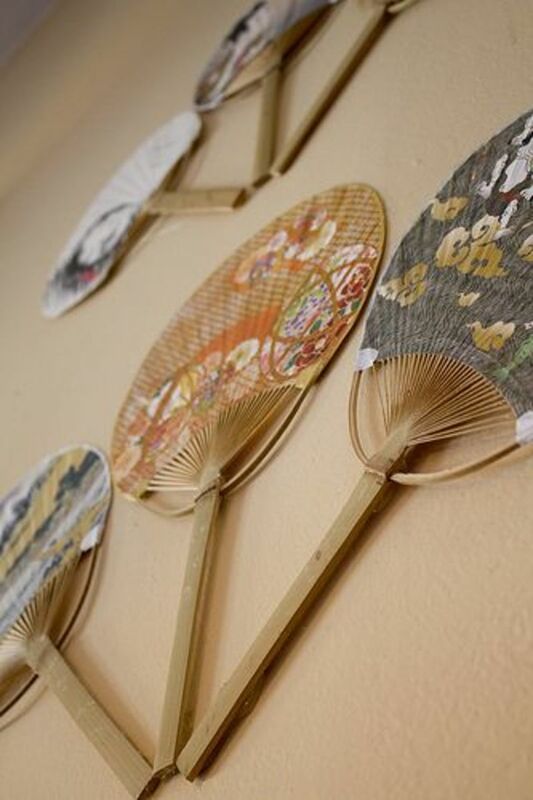 An awesome collection of Chinese, Japanese, Vietnamese and Korean hand fans. There is a cool story of traditional Chinese hand fans, read it here. 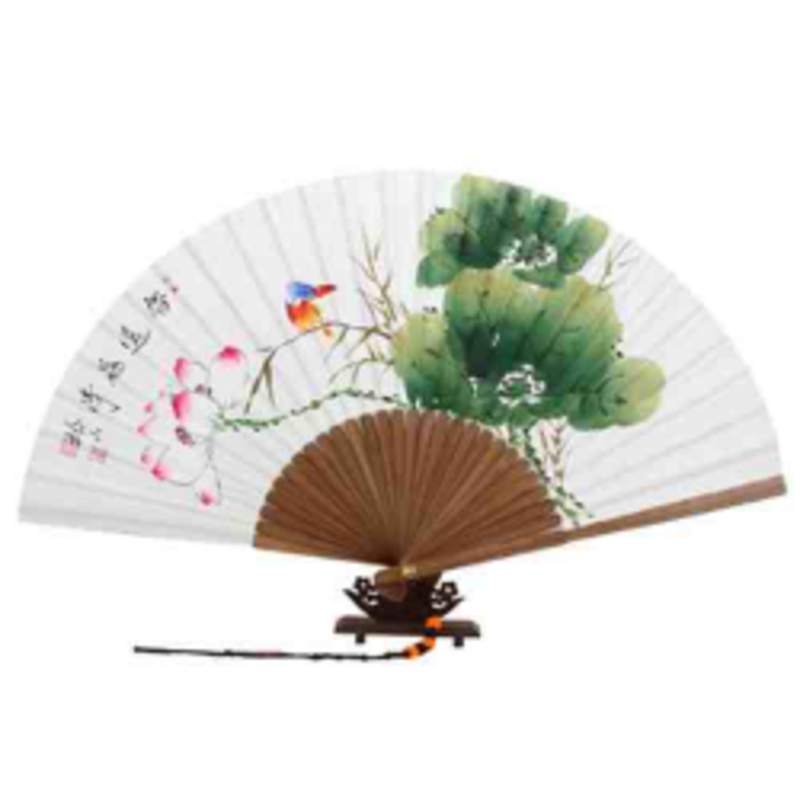 Find Chinese antique hand fans here including Chinese hand fans history. Whether it is Wedding, Birthday, or Christmas all these colorful decorative hand fans would be perfect for those memorable events. It does not matter whether you are in NYC (New York City), Spain, UK, Australia or Philippine, you can always purchase hand fans from eBay. In case of wedding favor then I highly recommend one of these hand fans for you. If you are looking for hand fans for church then take one of these. Do you know where to buy hand held fans for crafts? Just go to Amazon.com or eBay.com then you will find a large collection of decorative hand fans for craft, birthday, special party and wedding. Do you like black color? This is my one of the favorite colors of my mom. Actually if you like black color then I hope you would not bother to decorate your beautiful house with this hand fan. It is a perfect hand fan for wall decoration. If you like black color and searching for decorating your home's wall with black color of décor item then i highly recommend this hand fan to you. It is made by plastic, fabric and metal. This handmade hand fan is well designed with embroidered flower. This is an ideal gift for girls and women, who want to décor home, make cool airflow and stage performance for dancing. It is a great idea! You can think of this idea! Hand fan can be used as wedding invitation. Don't you think it is a great unique wedding invitation item? I know there are varieties of way of making wedding invitation, hand fan is one of them. To do this, take a good looking hand fan and then write down the wedding invitation message with marker or pen. You better take some colorful hand fan made of paper or silk. If you are done, I mean when you write the invitation message on the hand fan, just fold the fan and send it to the receivers. He or she (receiver) would be amazed to see your new wedding invitation idea. So now you have got this idea. Now you have to apply it. To do so you are asked to buy hand fans from online store such as Amazon.com or Ebay. Apart from these two giant online selling stores, I know some stores that sells beautiful hand fans. It is very easy to get one but you have to choose the right one. Again, in case of wedding favor or wedding décor idea I honorably want you to think of hand fans since they are truly a great décor item. Are you interested getting this beautiful Asian silk hand fan? I am sure with this hand fan you can perform dancing quite nicely. It is summer now. Don't you feel warm these days? I feel warm and if you have any party in this summer then don't forget to have a lightweight hand fan with you. This one could be the one you are searching for such occasion. 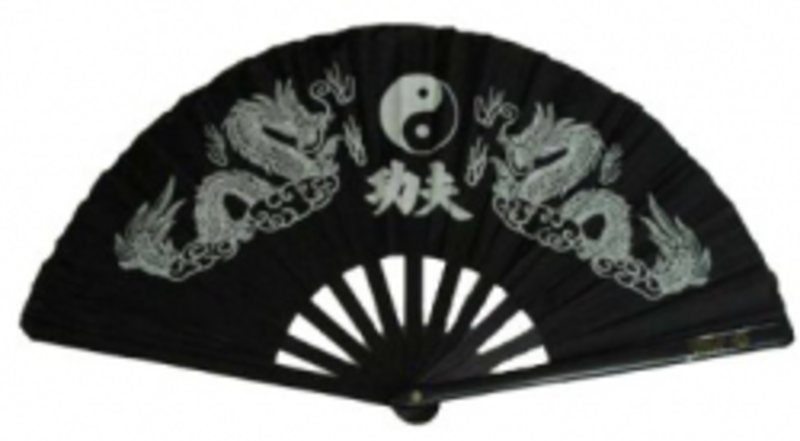 Dragon and Yin Yang folding hand fan is a durable and strong enough. If you like dragon then I surly recommend this hand fan to you. You can keep this fan as collection stuff or use it as home décor item. Please be sure that this hand fan is designed only in one side with dragons, other side is black only. Nylon cloth has been used to make this fan instead of using bamboo or silk. This could a perfect gift for the one who love Chinese martial art. Search the name "Dragon and Yin Yang Folding Fan" on Amazon.com, you would find it at once. Good luck! Oriental Chinese Fan Martial Art Kung Fu Black Dragon Pattern Folding Fan - Hand Fan for Kung Fu! Do you want to practice kung fu with a hand fan? If you are searching for such type of hand fan then your problem is solved. Here I have one that is perfect for practicing kung fu. Would you like to decorate your home with beautiful hand fans? Antique Hand Fan - Rennaisance Lace Hand Fan, Bamboo Stem - It looks so stylish! Lace hand fans are always beautiful. With this type of hand fan you can decorate your home, make cool airflow, make wedding invitation and present gift for others on Christmas and Birthday. 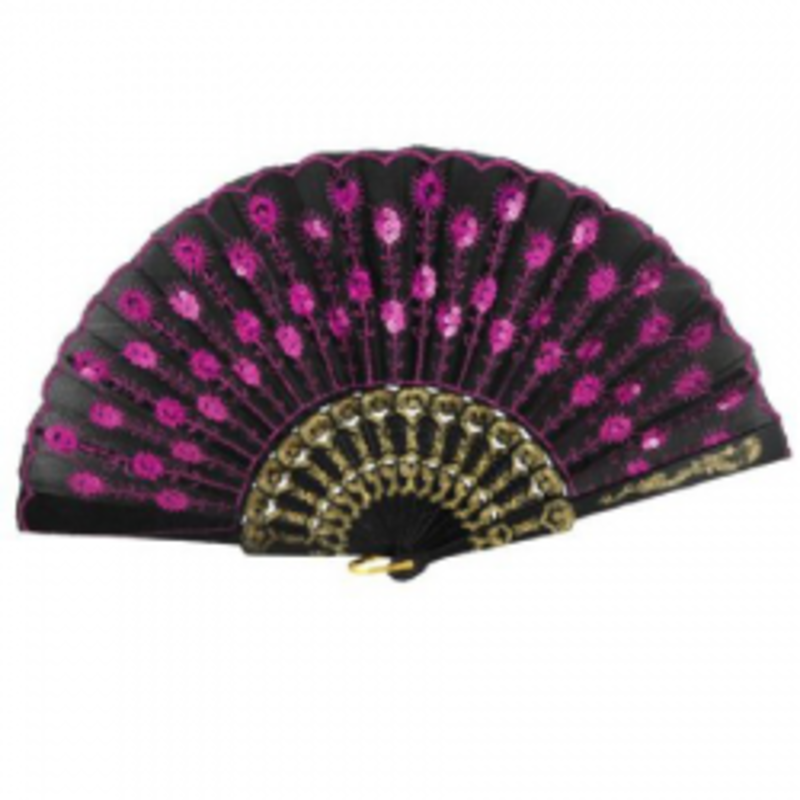 Take a look at this latest stylish glamorous hand fan! It is quite nice, the design is awesome! Does it look like an Italian hand fan? It is not a heavy hand fan, it is very lightweight. You can carry it to anywhere else you want. Are you going to a party, outdoor picnic or concert at night in summer then take this hand fan with you so that you can make cool air! I hope you like my idea. 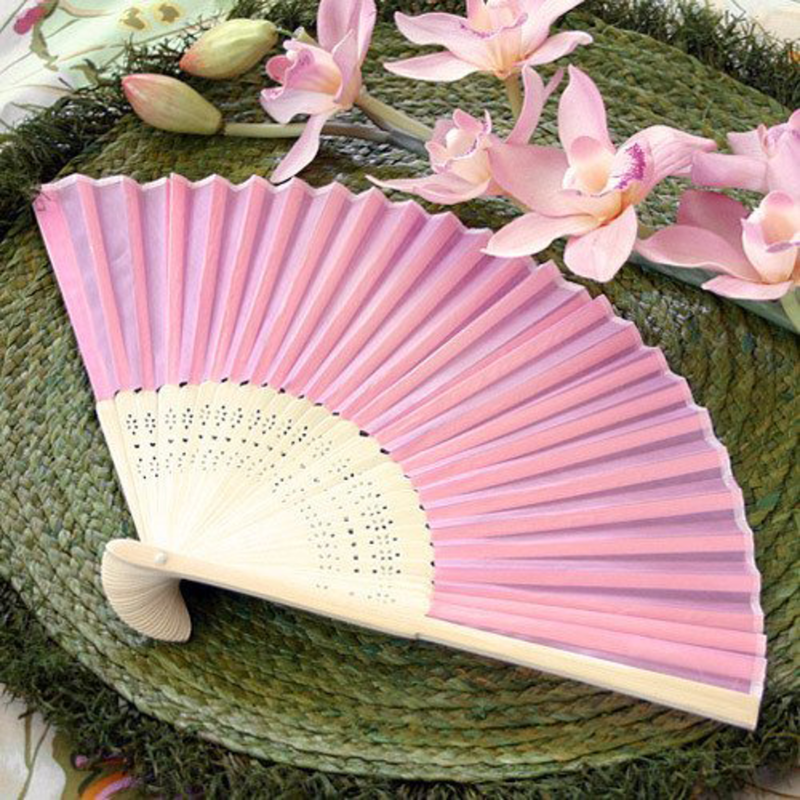 It is totally a well made and fashionable hand fan for you. Korean hand fans look like Japanese and Chinese hand fans though Korean hand fans have their own style of paintings on hand fans. 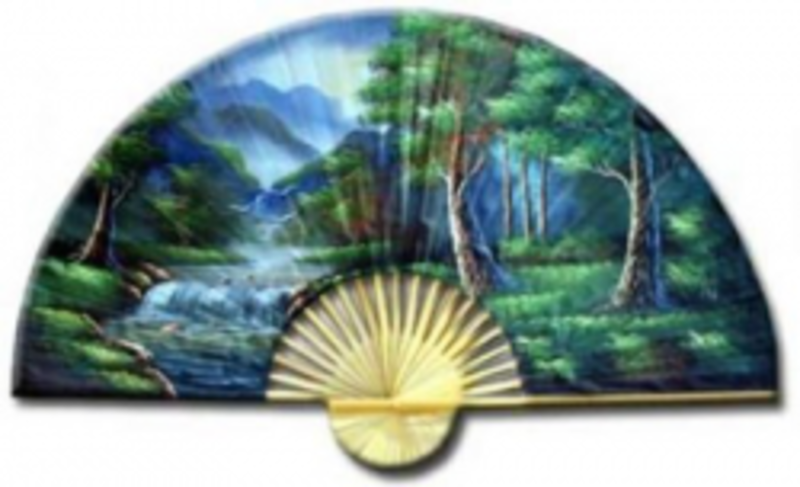 Their hand fans are painted with beautiful landscape, bamboo, fruit trees, flowers, bird. In Korea, women keep hand fans for their own use during summer time and other time they keep hand fans for home decoration item. Korean houses look so beautiful and they of course use hand fans to add extra beauty inside home's room. Traditionally, hand fans and Korean paper fans both are part of their culture. Actually Asian people know the value of hand fans. You can find well crafted and painted Korean hand fans online as well as in the shop. I live in Asia and I have been seeing that we use bamboo for many purposes. Bamboo is a prat of our life, no doubt about that. We like collecting bamboo themed home décor accessories. I think you would like to have this bamboo themed hand fan. Korean hand fans are as beautiful as Japanese and Chinese hand fans. Don't you believe me, look at them yourself below. I hope you looked at them and what do you think now? Well, Korean hand fans are durable enough and very well designed with colorful paintings of many things such as flowers, trees, fruits. If you have intention to décor your home with hand fan then, be sure that you can choose a Korean hand fan. They are perfect and totally handmade product. Do you like bamboo paintings? In Asia bamboo is a useful item and people in Asia use bamboo to build houses, making basket and many things. This hand fan is well designed with bamboo painting. It looks like a great gift for anyone. It is made by Korean mulberry paper. Don't be fool not taking it as one of your best home decor items but be wise by getting this perfect one. Get some awesome beautiful traditional Korean Hand fans and use them as gift ideas for many occasions. Find the history part of Korean hand fans here! A simple way to make Korean paper fans. Find useful info about Korean hand fans and learn how to make a personalized hand fan. What can we do with Hand Fan? People usually use folding hand fans or flat hand fans for generating cool airflow and for decorating home. Apart from these, some crazy people who love Chinese kung fu use these hand fans for practicing Chinese martial art. Though there are other reasons why people buy them and collect them. You can a hand fan when you travel outdoor with family such as picnic, beach or even when you go for shopping. Is there any decorative wall hand fans ideas for living and red room? Certainly there are ideas that you can apply in order to decorate these two rooms. It is quite easy to find these two rooms in our home. People tend to decorate living room with stylish latest home décor accessories. In this case, wall hand fan is an elegant one for choosing as room's wall décor item. Whether you choose a large silk hand fan or paper hand fan, at the same they both work great! It is all up to you what type of hand fans you are going to prefer and buy. 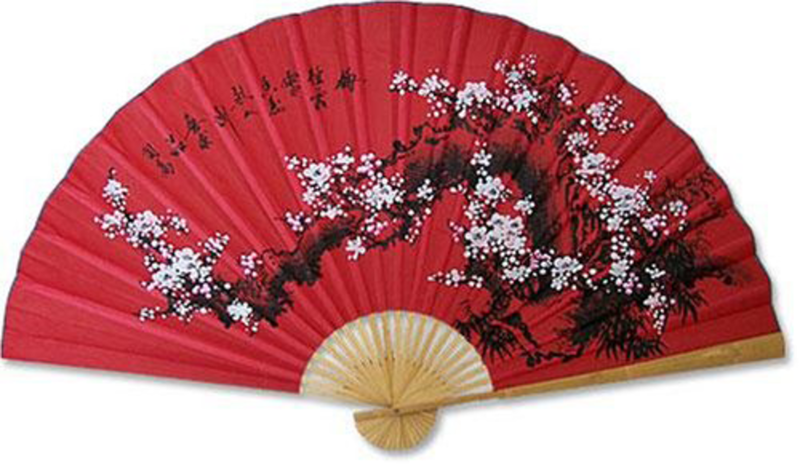 Japanese and Chinese silk clothes hand fans could satisfy you more than decorating walls with Spanish and Korean hand fans. I can suggest you one thing that is, it does not matter whether you choose round shape traditional Japanese hand fans or handheld folding hand fans. Both if these make your home's wall beautiful and perfect option for decorating home on any festival and special occasion. Prefer large wall hand fans in case there is enough space in your living and bed room. It is not a hard task to hang them on the wall, just take a look at the picture on right side. Is not it perfect for you, I guess you were looking for this wall hand fan décor idea. 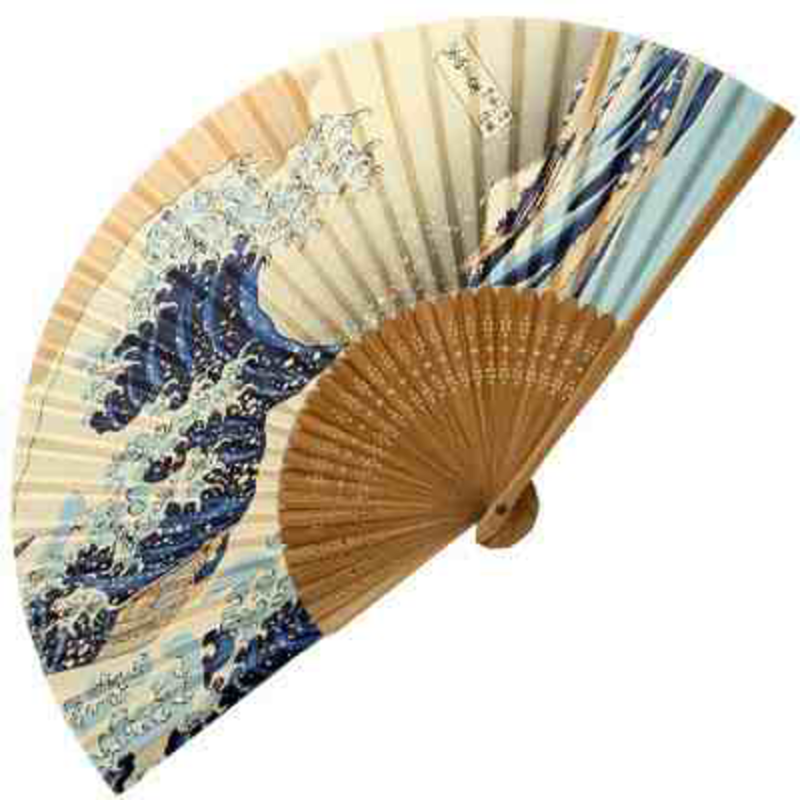 Authentic Japanese Hand Fan - Silk Model - Ocean Wave - Awesome design! Do you know the Materials of making a hand fan? 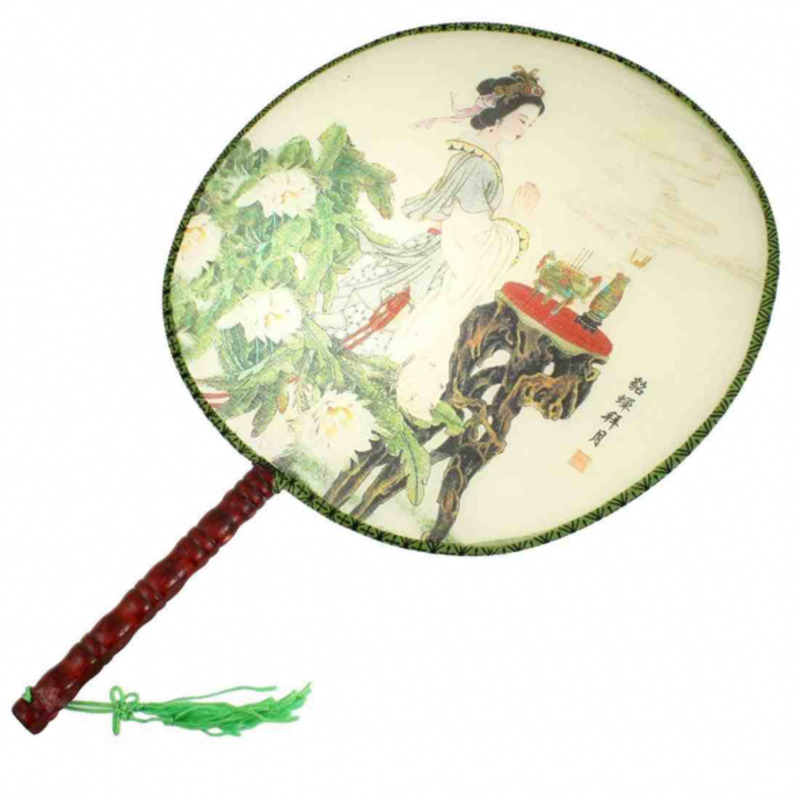 Chinese Silk Hand Fan - Princess - This is a great Chinese Gift! Do you like this hand fan? It is beautiful princess themed hand fans and it could be a great birthday gift idea for everyone. It is a durable silk hand fan, so you guess yourself whether it will long last for many years or not. It is a fixed hand fan, you can't fold it. This fixed silk hand fan is a traditional Chinese hand fan. Chinese people like to have this fixed hand fan at home and they decor their homes with this wonderful traditional hand fan. Be sure that it is 100% handmade product. Collect it and decor your home's rooms with this great hand fan. This is the website you can explore more about hand fan. This informative website provides you to look at old hand fans, its history, and a big opportunity to be a member of this organization. This is hand fan museum is located in London, United Kingdom. You can visit this museum from Tuesday to Saturday at 11am-5pm. On Sunday every weekend it opens from 12-5pm for visitors. Do you like peacock print pattern of product? I guess if you like then you would like to have a peacock pattern of hand fan. This type of hand crafted product is always beautiful and fashionable. You can think of this hand fan as gift for others. Choose your best peacock feather embroidered hand fans and start decorating your home and get cool airflow in summer. There is a peacock feather pattern hand fan which can be used for wall decoration. It is a beautiful hand crafted decorative hand fan. This is embroidered peacock pattern home décor hand fan and it could be used as a great gift for your mother, wife, and girlfriend. You can use this on party or wedding ceremony. Hang this one on the wall and then it will shine your home's wall. To find this fan on Amazon.com, just copy this "Peacock Feather Embroidered Hand Fan" and paste it to Amazon.com product search engine. Antique and vintage hand fans have great value to us. They are unique, sometimes inexpensive and very precious hand fans, sometimes they do remind us of past history. 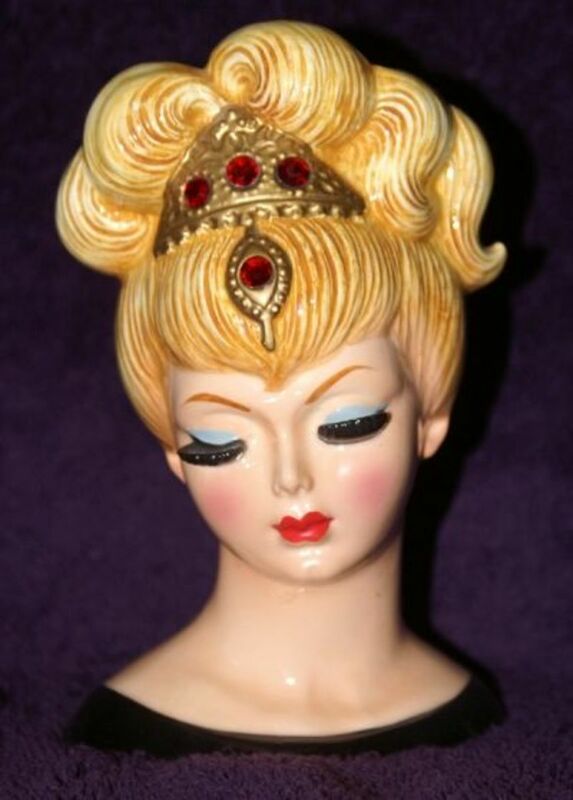 If you collect precious things then I can suggest you to collect some amazing antique hand fans. Find some great Asian antique and vintage hand fans here. This is a great Handle Chinese Hand Fan! A unique hand fan that is what you want. Could a hand fan be a great gift? Butterfly Folding Hand Fans - I think these hand fans are amazing, don't you think so? Butterfly themed folding hand fans are nice to look at. Don't you believe me? I think you believe me because I have found one for you over here. Have you got any idea how to make mini paper hand fans? This sort of crafting project makes me crazy to do at once! I tried once to make some and I made, at that time I was finding a lot of information online on this given topic. Do you like butterfly? I like butterfly because of its colorful wings. Butterfly folding hand fan is a good product and gift for birthday party. Your little kids would love to have this type of hand fan on their birthday. Though, it suits for any kind of party you will have. You can decor your home with these colorful butterfly hand fans since they look cute. How to make a hand fan? - DIY Antique and Vintage Making Ideas! Are you interested to know how to make a hand fan? Making Japanese, Spanish, Chinese and Korean style including silk, paper, fabric, antique and vintage hand would be hard for you if you don't have any proper guide and step by step instructions tutorials. Let us find some useful links where you can find the instruction of making hand fans. There are free tutorials on how to make fixed fabric hand fans. There is link on making hand fans for traditional marriages tutorial. I also have featured a link that is especially for how to make paper fans for kids. I have already mentioned you the materials of making a hand fans, I hope you did not forget that yet. Good luck! Learn this tutorials for making a hand fans with photos. Make a hand fans with bamboo. Learn easily how to make a Japanese hand fans with step by step instructions. Let's make some Spanish hand fans here. A great page for making DIY paper hand fans. Making DIY Craft Paper Hand Fan for Decoration. Learn how to make paper fans for kids in this article. 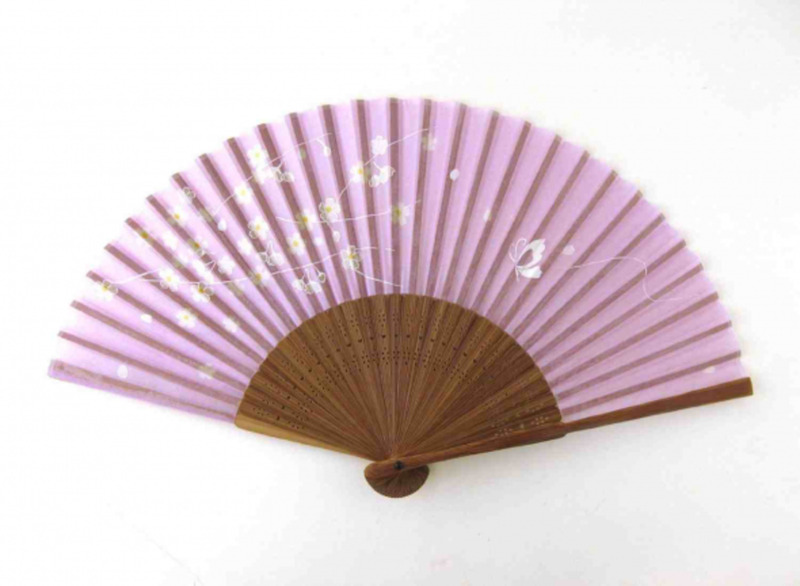 There is an amazing Japanese silk handheld fan. Hand fans are not only popular in Asia but also in Europe too. 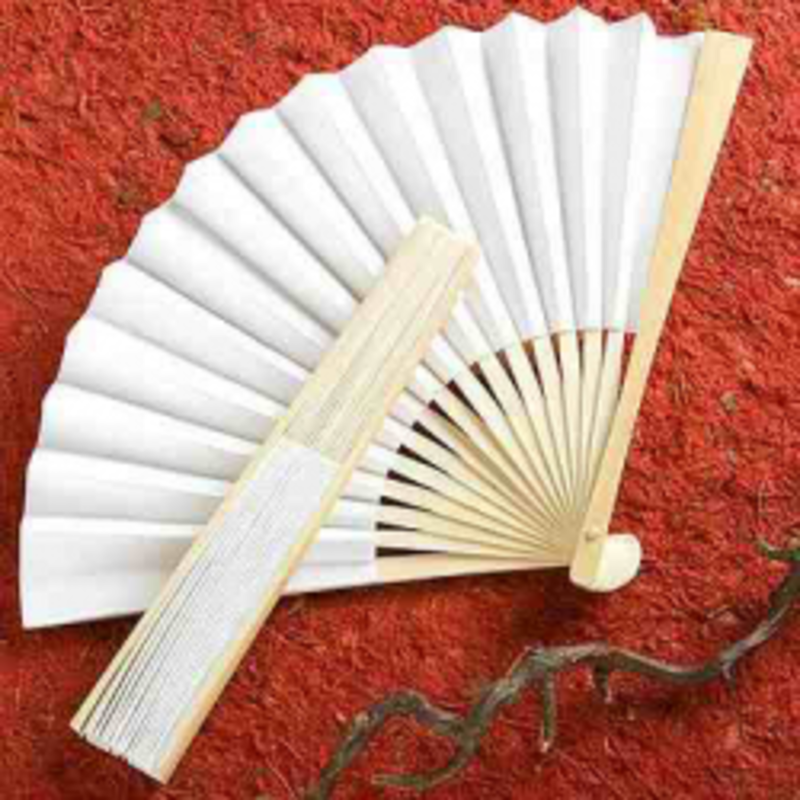 Spanish hand fans has a long history and it is said that they at first brought hand fans from China. Here they mean - the traders. Spanish traders used to exchange goods in China, thus how they brought hand fans to their own country from Chinese people. Spanish people know hand fans as abanico. Women used to make cool air in summer as well as they used it for privacy matter. Like girls can easily cover their face from strangers with this hand fans. To make a Spanish hand fans you need to have three materials they are: wood, plastic and metal. The price of Spanish hand fans are not costly but if you choose big size, you have to pay big amount of money. This website especially sales only traditional Spanish style hand fans. Lets read about the history of Spanish hand fans here. A wide variety of colorful Spanish hand fans are waiting for you! Step by step instruction how to make a Spanish hand fans. Spanish hand fan is not that much expensive to buy. You don't have to spend a lot of money to get a beautiful Spanish hand fan. On the other hand Japanese, Chinese and Korean hand fans are expensive than a Spanish hand fan because they are durable enough than Spanish of hand fan. As you know that Spanish hand fans are inexpensive but their designs are quite excellent. You can easily carry it inside your purse or bag since it is lightweight. One of the main characteristics of Spanish hand fan is they are designed and painted with different type of flowers like tulip or roses. Select your best one and have fun with it. I hope you would like to get some Spanish hand fans for others as gift. Have you looked at this fan's color? Wow, So beautiful and fashionable. You can fold this one in a small space, very handy item if you go outside home during winter. This beautiful Spanish hand fan could be a great gift for your mom and wife. If you want to decor your home with an excellent hand fan then you could think of this Spanish fan. 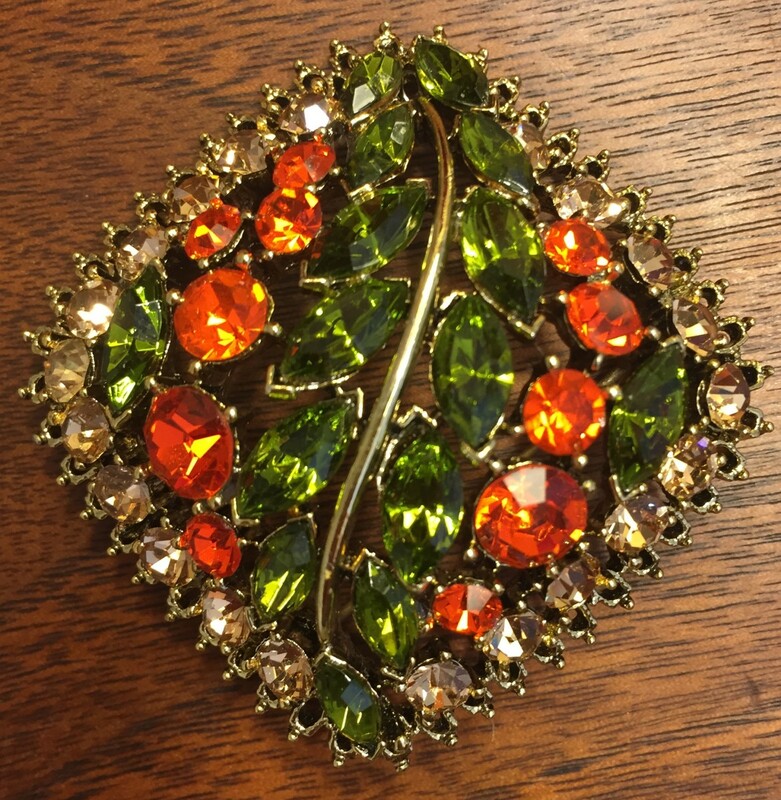 Look at it and think whether it would shine your home. I guess you are thinking that it could shine your home! It is made by sheer cloth, plastic ribbing and lace edging. I think so far you have seen Japanese, Chinese and Korean hand fans. I am sure European style of hand fans never bother you to decor your home because they are perfect and awesome. Do you like this hand fan? It is quite beautiful folding hand fans. You can buy this hand fan from Amazon.com. 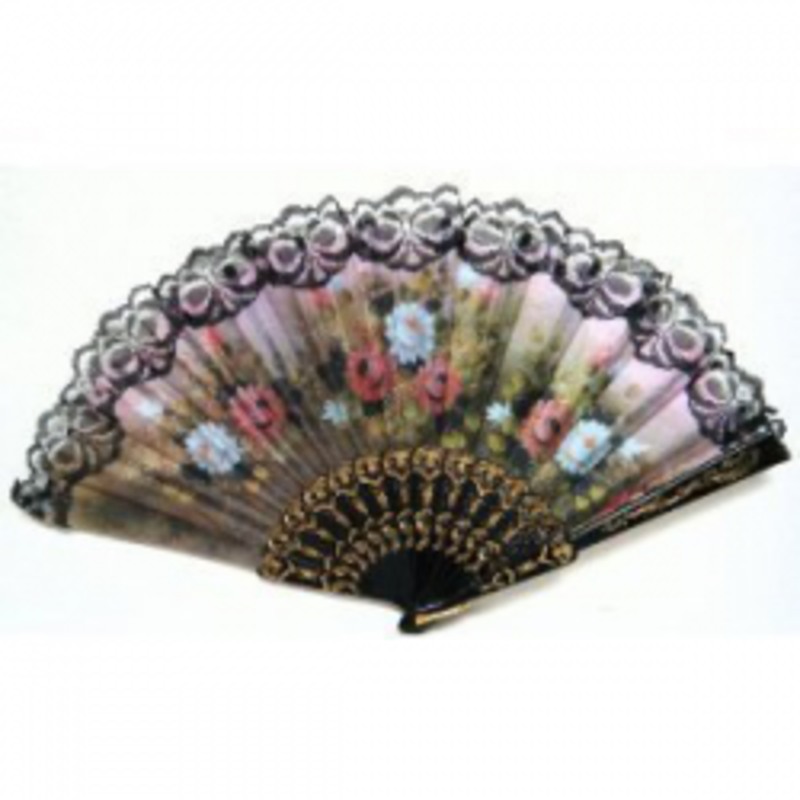 Japanese hand fans or folding hand fans can be found here in this Uk hand fans online store. 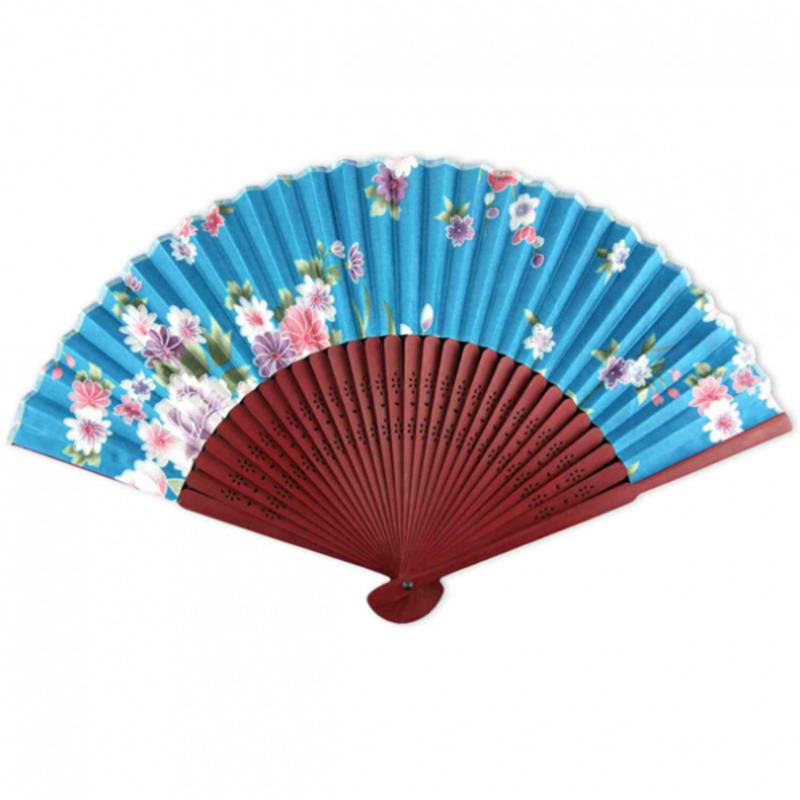 Also Chinese, Spanish, wedding, antique hand fans are available. Do you want to find out Hand fans history, then check this out. Find decorative paper hand fans. Find different style of hand fans from all over the world. We have three wall fans in our drawing room. My mom actually bought them as drawing décor item. If you are searching for some wall fan then you can think of this beautiful wall hand painted fan. This folding hand fan has been designed mainly for home decoration. It is a great wall art, you can install it easily. It is made by Thai bamboo. This hand fan wall art is an original handmade product. You can see Asian forest painted on this hand fan wall art. If you want to décor your home in a bit different way with some unique décor item then get it, your home visitors will be delighted to see this home décor item. 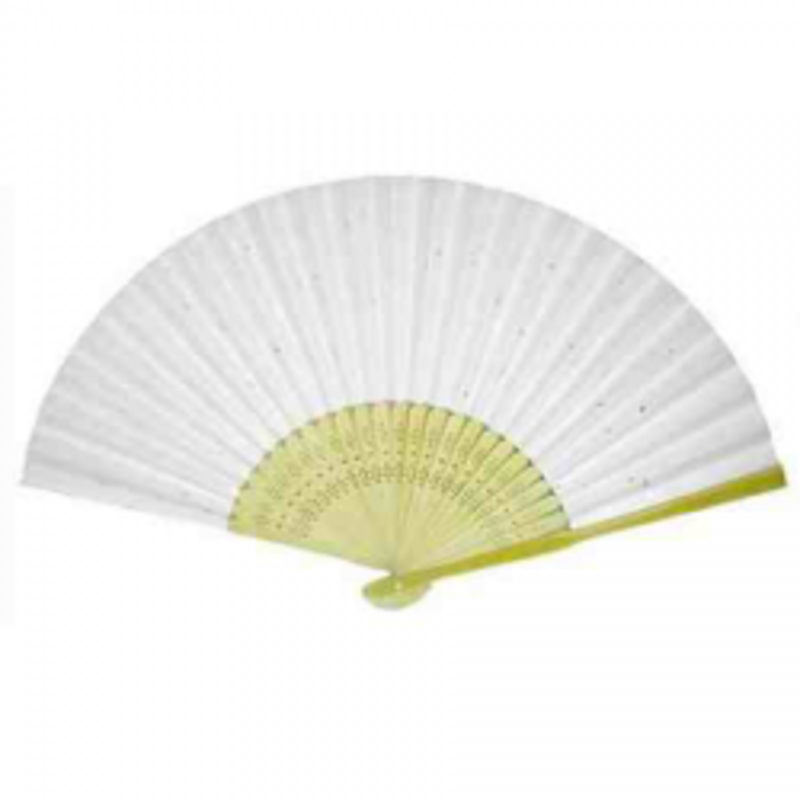 Performance Folding Hand Fan - Yellow Color - What a nice folding hand fan for a performance! Are you looking for some colorful performance hand fans? I have found a nice looking performance hand fan for you. You can dance with this hand fans. 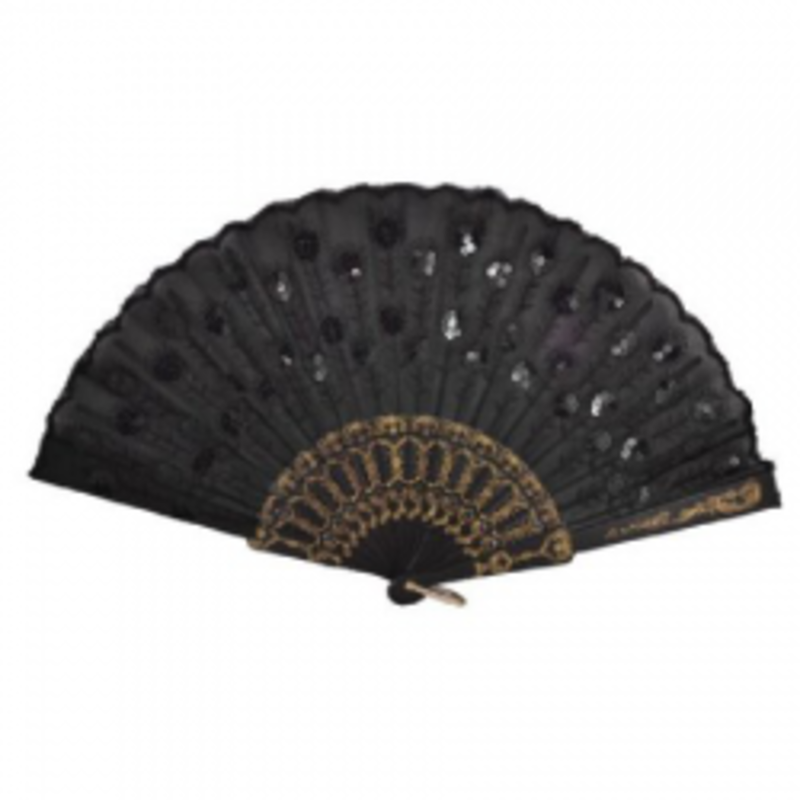 If you are model and finding for a decorative hand fan for yourself, then choose this one. It is actually a decorative hand fans for models. This is for those who love yellow color mostly. My favorite color is not yellow but I still love this color. This yellow folding hand fan is large and it is for stage performance. You can easily set it up at home as home decor item. It is about 13 inches tall and great stuff if you are going to perform stage performance such as dancing with hand fans. Large Folding Wall Fan - Prosperity Blossoms - Get it as home decor item! This folding wall fan is awesome with its red color! Fully hand painted wall big fan that perfectly suits to your living room. It is made of Thai bamboo. My tai chi group does a form called fan. They use a special martial arts fan. These fans are more than decorative, and would be lovely ti use on a warm day. They all look beautiful, can't decide which I like best. Its summer here and hot, such nice looking decorative fans are great to have at moment. These are all so beautiful! I love the cherry blossom and the ocean wave - these would make lovely gifts. This hand fans lens is so wonderful. I have a few big fans as my wall decoration. Thanks for sharing. Keep your great work. I enjoyed your lens very much. Such varied, beautiful, colorful designs. I have only ever had paper ones. They don't last long. I'd like one that is made of a more durable substance. All of the fans you have listed are beautiful! Hand fans are really cool in Chinese Kung-Fu movies where they are also lethal weapons! Thanks for sharing! Lovely! I bought a really pretty fan in Bulgaria today! I so much love these chinese hand fans. They are so very adorable. Isn't it? Great lens and beautiful fans. Informative and colorful. Thanks for sharing. These are some beautiful hand fans. A great collection! I think that this lens is very informative. A very nice collection of fans. I like the blossom fans the best. Great info about the history of fans. I love the Cherry Blossum one!!! I didn't realize how many kinds of hand fans were out there, beautiful photos, thanks! These fans will make good gifts. I added a few to my Amazon wish-list for gifts. Thanks for the inspiration! I can remember first being introduced to hand fans through film, they are quite artistic and beautiful! Wonderful lens! I got lost in the beauty and elegance of all the fans. These are lovely fan selections. I love Spanish fans also. Fan dances are elegant to watch. Lovely lens. What a beautiful topic and lens. I used to always have a fan when I was a young girl. I still love them but don't have any at the moment. These are very beautiful. And practical too. It wasn't oriental, but I remember my grandmother using a hand fan when she attended church, when I was a small boy. Beautiful! They really bring totally different feeling in the home! Very nice lens. Thank you. Have a great day. The look so pretty, we used make hand fans from a kind of palm trees when I was small. Really interesting lens! We use it a lot in Portugal too, mostly in the south during summer, as it gets too hot! Just like in Spain. I collect fans so this lens was a must read and a total joy, thank you. Such beautiful fans and what a great idea to use them for wedding invitations! Thanks for sharing your knowledge with us. Hand fans are such cute little things that the world must not stop using these. Though we get hand fans in our part of the world, there is nothing as beautiful as the Japanese ones. I love fans - we uses them quite a lot in Italy during the heat of the summer months. But they are not beautiful like Japanese fans. Thanks for these wonderful ideas. Very beautiful hand fans. Loved the lens. Wow, this is a very very nice lens. It is incredible all the different types of fans you can find and the uses you can give like the wedding invitation. You did a great research, it is so nice to look at the pictures you provided here. My father brought back some exquisite handheld folding silk fans from Japan many decades ago and I still cherish the one he gave me. I loved learning more about these fans and I may purchase or make a less fragile one for use during the summer. (Currently I use an pretty but inexpensive and not very durable paper folding fan that I'd like to replace.) Thanks for all the wonderful information and beautiful product selections! Great lens! I love all the beautify pictures. What a great idea - using a fan for your wedding invitation. Very insightful. I've always loved hand fans. I bought one in China Town about 20 years ago that I still have in my living room. Really beautiful lens and the fans are gorgeous. I will visit again and thank you for connecting with me. Very interesting reading. Thanks for sharing! I love folding hand fans and last used one a few nights ago at a party in the tropics - so easy to carry in an evening bag and sometimes so useful and comforting. My daughter take a martial arts class and they use fans like these in one of their performances. They are very beautiful and unique. Thanks. Fun stuff. Are your from Asia? We had the mini paper fans when I was a kid, but I really like the Japanese silk fans. The butterfly fans are also pretty. This lens is great and the fans are incredible. Beautiful lens! I love the folding fans. I worked for a Japanese company and sometimes I received a gift of a painted folding fan. They are beautiful! I have one by my table lamp in the living room which I use often. You have very interesting lenses. Congrats for winning the purple star! What a beautiful lens! I love this page, just want to say hello! I remember those olden days using hand fans in my village whenever power goes off in the whole area. I love these fans! When I lived in GA, quite a few people there still use hand fans to cool down when out in the southern heat. Nice to see them coming back everywhere. What lovely memories you bring back with your fans, I had a pink one with cherry blossoms years ago. Thank you for stopping by and liking my lens takkhis! I also have two in my car, so am never without one! I've got a Korean traditional hand fan (at least I think it is traditional) which is very comfortable to hold. I love that it is not too big. The only thing I dislike is that its colors are too vivid. You have shown the most beautiful fans on you lens. if I didn't like them before I certainly would now. Great lens. These fans are so beautiful. Great designs. Well done lens. Beautiful lens. I used to have several fans from when I was a child. I must look them out again - they are probably in a box in the loft. The decorations are gorgeous. The use of various colours and images from nature are wonderful! The Butterfly folding hand fan stood out from the rest because of its realistic shape. Great lens. Really beautiful designs. Thanks for sharing. Lovely fans..I have a really old one that belonged to my grandmother. It is so delicate. These are definitely some beautiful Hand Fans. I enjoyed learning more about them. This is such as lovely lens. Thanks for sharing. Wow. These are lovely. I especially like the cherry blossoms! Great Lens, the hand fans do look very pretty, I didn't realize there were so many different types. Wow Japanese fans are so beautiful Great lens! WOW WOW WOW... fantastic lens. 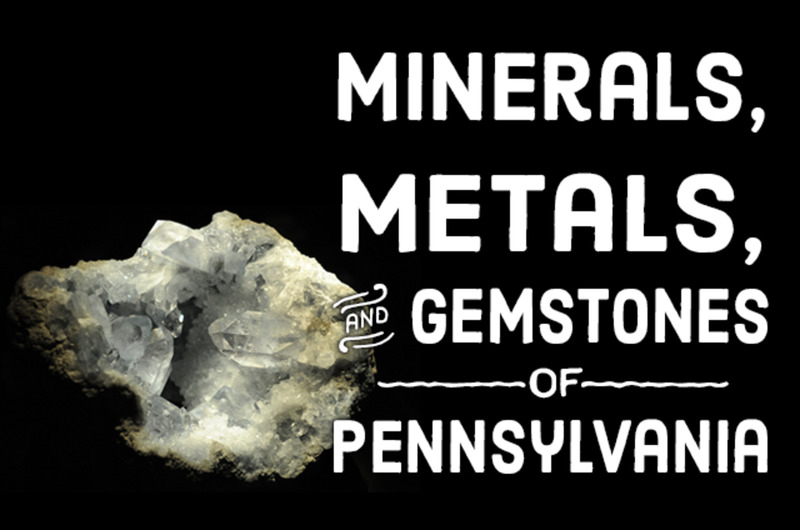 Lots of very useful info. A most impressive article! I learned so much. So many of the fans you have displayed are true works of art.